A new declaration is paving the way for non-timber forest products (NTFPs) in forest conservation. Bamboo and rattan are important – but critically overlooked – non-timber forest products. These plants have huge potential to restore degraded land, build earthquake-resilient housing, reduce deforestation, and provide jobs for millions of people in rural communities across Africa, Asia and Latin America. Despite this, bamboo and rattan are often regarded as ‘poor man’s timber’, and households, governments and businesses have yet to realize their full potential. This image problem may be about to change. On 25-27 June, CGIAR Research Program on Forests, Trees and Agroforestry (FTA) partner institution the International Bamboo and Rattan Organisation (INBAR) and China’s National Forestry and Grassland Administration (NFGA) cohosted the Global Bamboo and Rattan Congress (BARC) in Beijing, China. At the Congress, 1,200 participants from almost 70 countries took part in discussions about the uses of bamboo and rattan in agroforestry, their ecosystem services, and their contribution to a number of the UN Sustainable Development Goals. Speakers included Vincent Gitz, Director of FTA, and Robert Nasi, Director General of the Center for International Forestry Research (CIFOR). Both highlighted problems of forest governance, and the role that innovative bamboo and rattan uses can play in this regard. Indeed, innovation was a key theme of the event. Throughout the three-day Congress, entrepreneurs exhibited innovative products: from wind turbines and bicycles to heavy-duty drainage pipes and flat-pack housing made with bamboo. Fast-growing and quick to mature, with the properties of hardwood, bamboo can provide an important low-carbon replacement for cement, plastics, steel and timber. 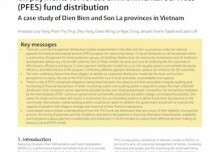 An equally important point, raised in many discussions, was NTFPs’ potential to create incomes for the rural poor. 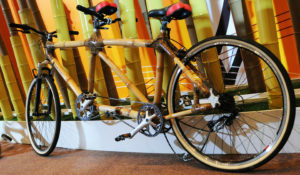 Throughout BARC, participants heard from speakers who had created businesses with bamboo: from Bernice Dapaah, who has founded an internationally recognized bamboo bicycle company in Ghana, to entrepreneurs from countries in Southeast Asia, where many communities rely on rattan for up to 50% of their cash income. According to INBAR Director General Hans Friederich, the bamboo and rattan sector employs almost 10 million people in China alone, proving that there are many possibilities for these plants to contribute to FTA’s core research themes. The potential for bamboo to complement forests’ role as carbon sinks was much discussed. A new report, launched at BARC, shows how certain species of bamboos’ fast rate of carbon storage makes them a very competitive tool for carbon sequestration. In an important announcement in plenary, Wang Chunfeng, Deputy Director-General of NFGA, suggested that bamboo could become part of offset projects in China’s new emissions trading scheme – a statement with huge potential for bamboo management. And in a striking statement of support for bamboo’s use as a carbon sink, Dr. Li Nuyun, Executive Vice-President of the China Green Carbon Fund, stated that her organization would help establish a bamboo plantation in Yunnan province, China. Over time, the plantation will aim to sequester the estimated 2,000 tons of carbon dioxide emitted over the course of the Congress – making BARC a ‘zero-carbon’ event. Biodiversity management was the theme of a number of sessions. 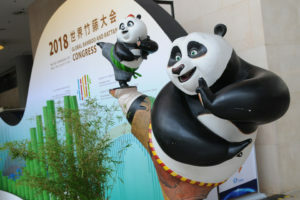 In a session on the Giant Panda, speakers from Conservation International, the International Union for the Conservation of Nature, the Nature Conservancy, the UN Educational, Scientific and Cultural Organisation, the Wildlife Conservation Society in China, and the World Wildlife Fund committed their support toward a potential planning workshop in early 2019. The workshop would discuss how to take a holistic approach to biodiversity protection, which integrates bamboo management, panda protection and natural heritage conservation. As many of the discussions showed, bamboo and rattan are often used because they offer more than one solution. Bamboo charcoal is such a case. As a clean-burning, locally growing source of energy, bamboo charcoal can significantly reduce stress on slower-growing forest resources. However, it can also form an important revenue source for individuals, particularly women. Dancille Mukakamari, the Rwanda National Coordinator for the Africa Women’s Network for Sustainable Development, described how “charcoal is crucial for women in Africa”. 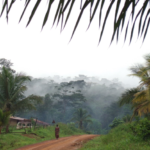 And Gloria Adu, a successful Ghana-based entrepreneur who has been making bamboo charcoal for several decades, emphasized its huge potential for deforestation prevention, mentioning that almost three-quarters of Ghanaian forest loss came through charcoal production. If bamboo and rattan are so important, then why are they not more widely used? A lack of awareness is one factor. 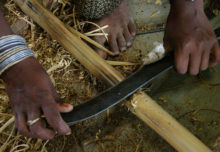 According to many of the private sector representatives at BARC, the absence of clear customs codes for bamboo and rattan, or specific standards to ensure the safety and quality of products, has prevented their uptake. The Congress made an important step forward in this need to ‘inspire’ change. On the first day, INBAR and the International Fund for Agriculture announced the launch of a new project, which plans to share Chinese bamboo industry expertise and technologies with four countries in Africa. The initiative aims to benefit 30,000 rural smallholder farmers and community members across Cameroon, Ethiopia, Ghana and Madagascar, who will be taught about how to plant, manage and create value-added products using bamboo. BARC also saw an outpouring of political support for bamboo and rattan. A number of heads of state and development organization leaders provided video messages in support of bamboo and rattan. And in a plenary session, John Hardy, the TED talk speaker and founder of the Bamboo Green School in Bali, Indonesia, offered to offset his lifetime carbon emissions using bamboo, in a demonstration of the plant’s carbon storage potential. With three plenary events, 75 side sessions and a lot of inspiration, BARC showed that there is clearly growing interest in bamboo and rattan for forest management. Announced on the third and final day of the Congress, the Beijing Declaration aimed to put all these commitments into action. Written on behalf of “ministers, senior officials, and participants”, the Declaration lays out bamboo and rattan’s contributions as “a critical part of forests and ecosystems”, and calls upon governments to support the plants’ development in forestry and related initiatives. Given their relevance for climate change mitigation and adaptation, their role in supporting sustainable forest conservation and their importance to smallholder livelihoods, bamboo and rattan are key NFTPs for the realization of FTA’s core aims. As the Congress showed, the key challenge now is to integrate these plants into forest management, and promote their central role in sustainable development. By Charlotte King, INBAR international communications specialist. 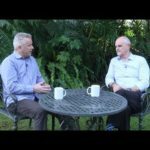 SDG synergy between agriculture and forestry in the food, energy, water and income nexus: reinventing agroforestry? 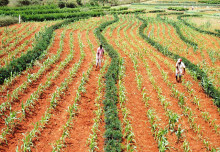 FTA’s work is supported by the CGIAR Trust Fund..
Keep updated with the latest news?